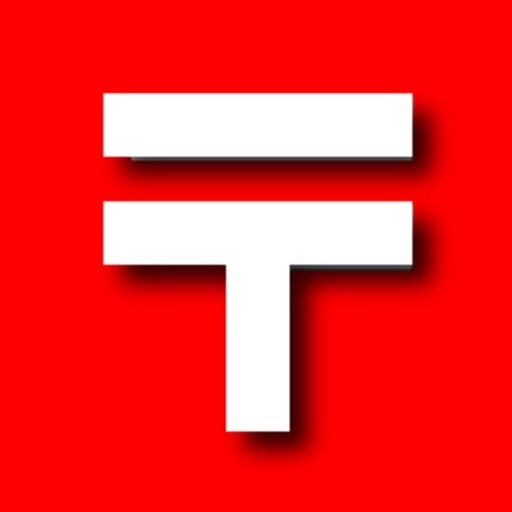 Download Zip Codes of Japan free via AppsHawk. 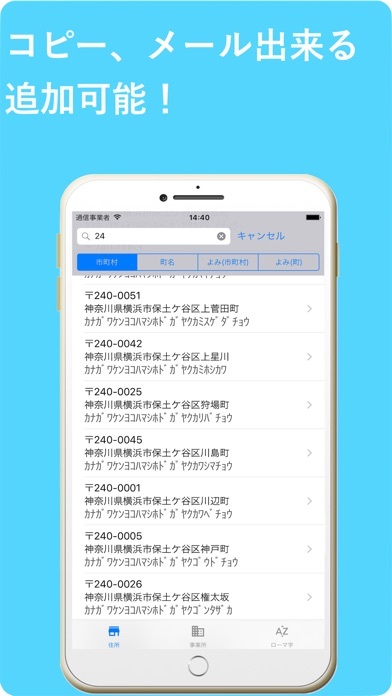 This is a helpful application that let you find latest Zip codes of Japan in off-line mode. 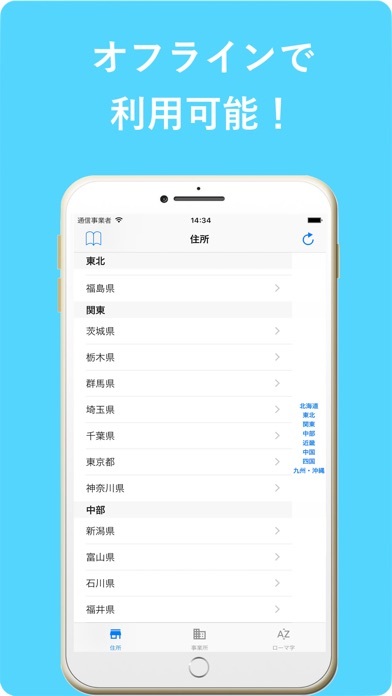 You should download all the data about zip codes and extract them after you installed this application, if you want to use all the functions in this application. 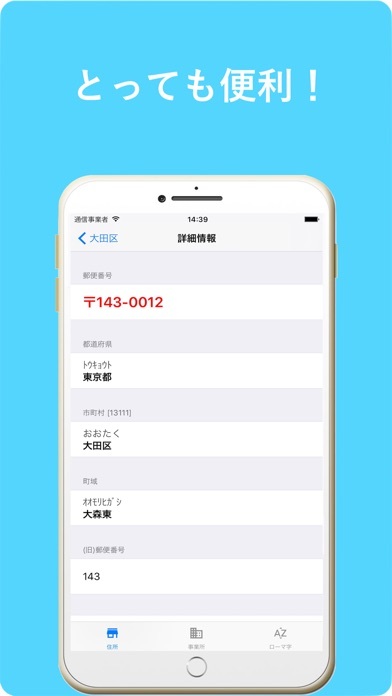 1, The latest data about zip code can be downloaded from Japan Post Service Co., Ltd directly and be extracted automatically. 2, Find the zip code(resident address and company address)from index of top screen. 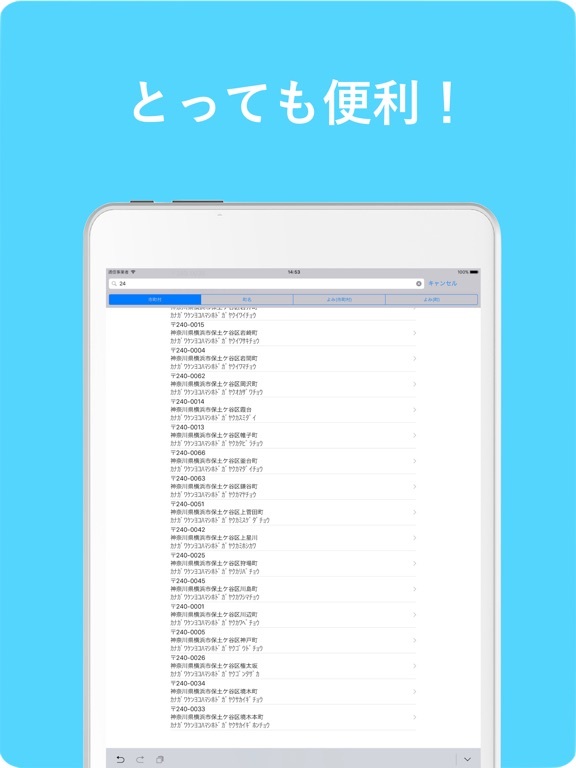 3, Search zip code by in putting zip code/kanji/kana in the top screen. 4, Search zip code for current location(performed correctly ONLY IN JAPAN). 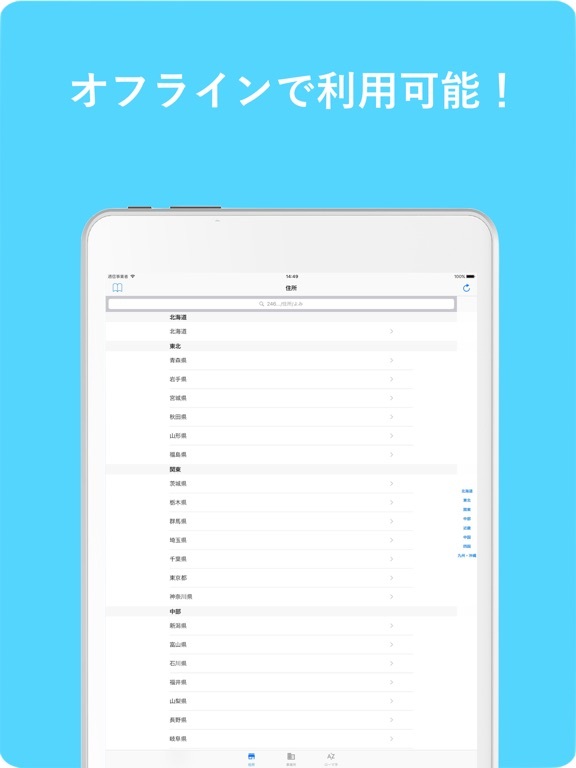 5, Find the Romaji address for all the zip codes. 6, Bookmark your often used zip code. From ver. 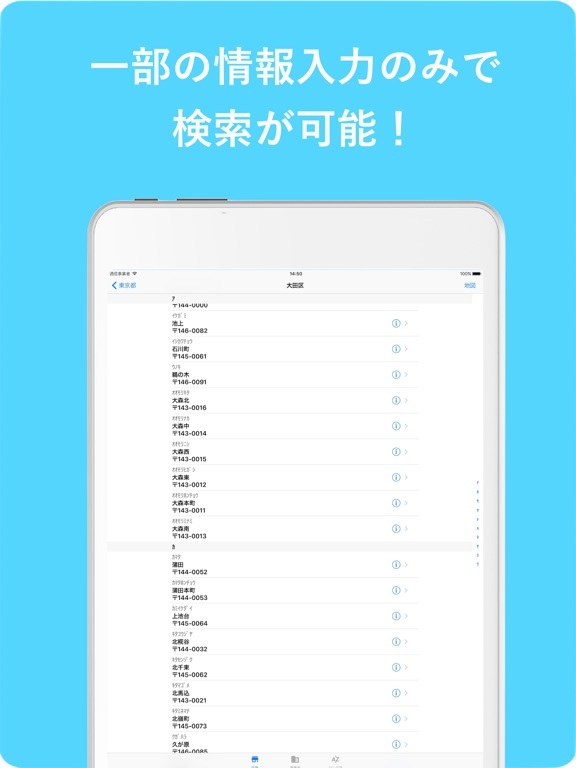 1.6, the data can be shared in iCloud. 7, Confirm the zip code location on Map(on-line/Internet needed). 8, You can copy, mail zip code information or add them to your contract. 9, The following information can be found in the detail screen. the yomi can be changed from ã‚«ã‚¿ã‚«ãƒŠ to ã²ã‚‰ã‹ã‚‰ by touching the cell. 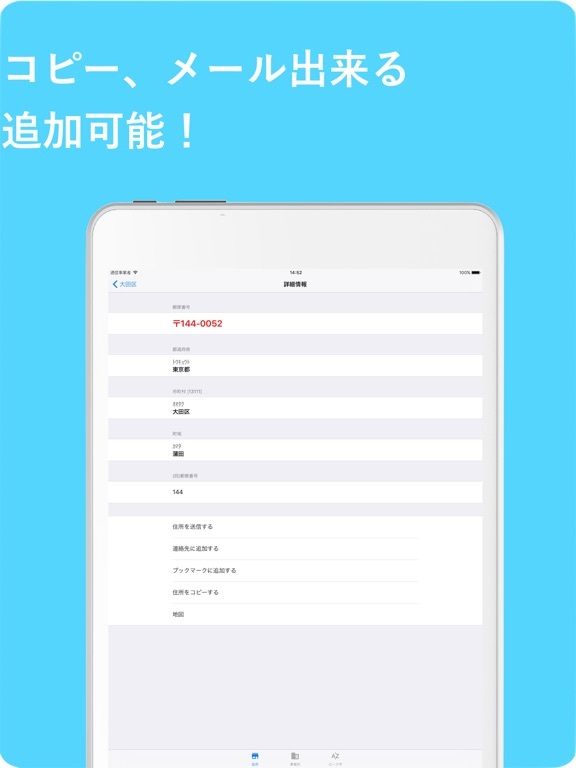 10, Supported Language of UI: English, Japanese, Chinese. 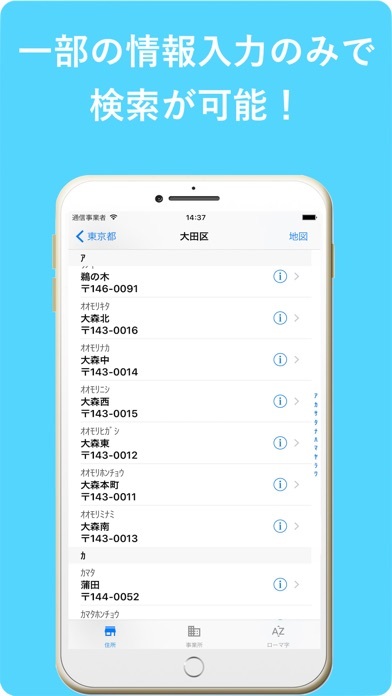 1, You should download all the latest zip code data at first after you install this application. 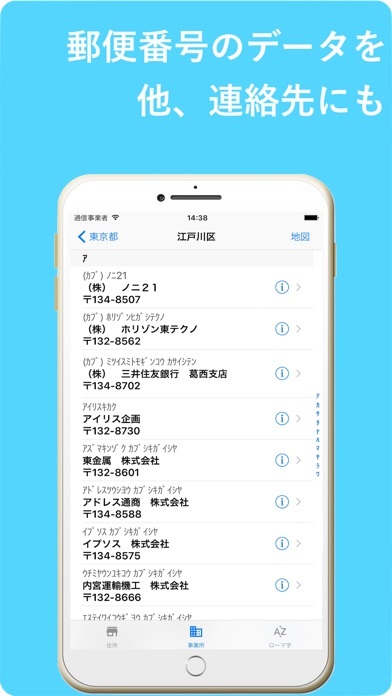 2, If you always want to use latest zip codes of Japan, you should download the data once every month, because the data are changed every month by Japan Post Service Co., Ltd.
3, The internet environment is needed for viewing zip code information on Map and current location.